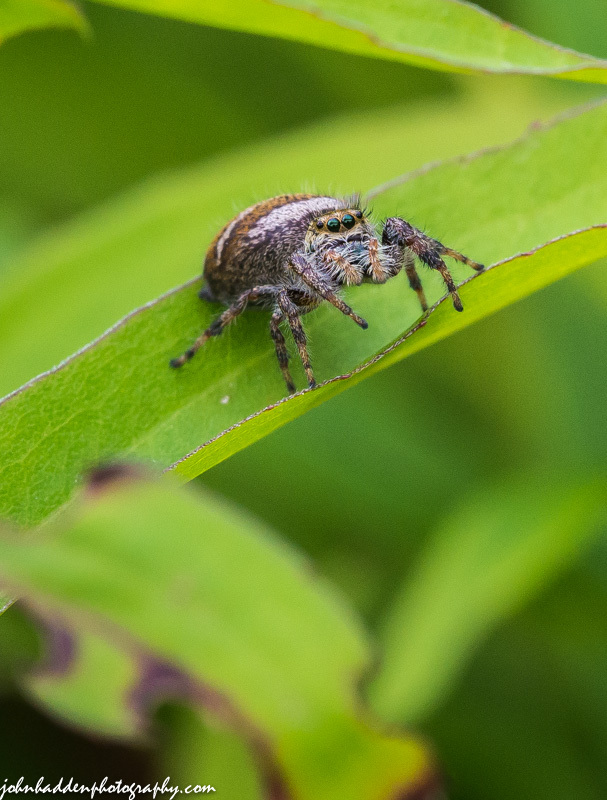 I followed this jumping spider through the grasses and ferns of our front field for quite some time before I could get this shot. 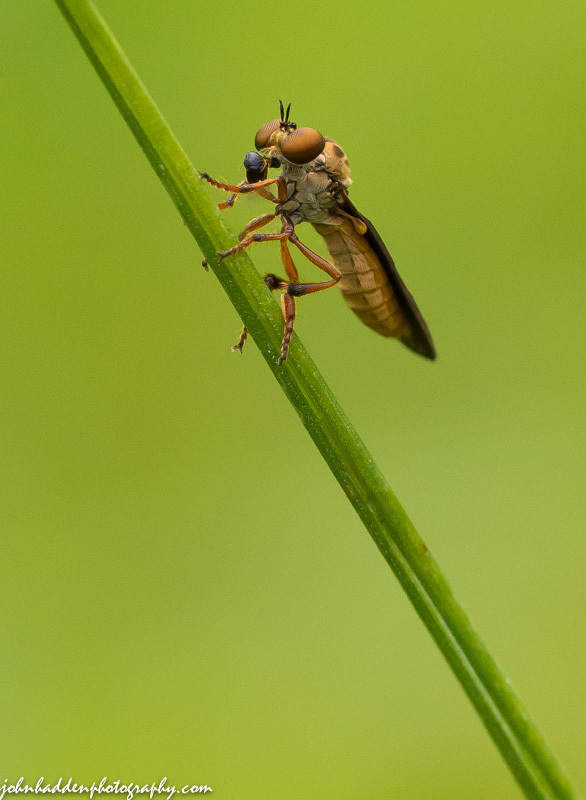 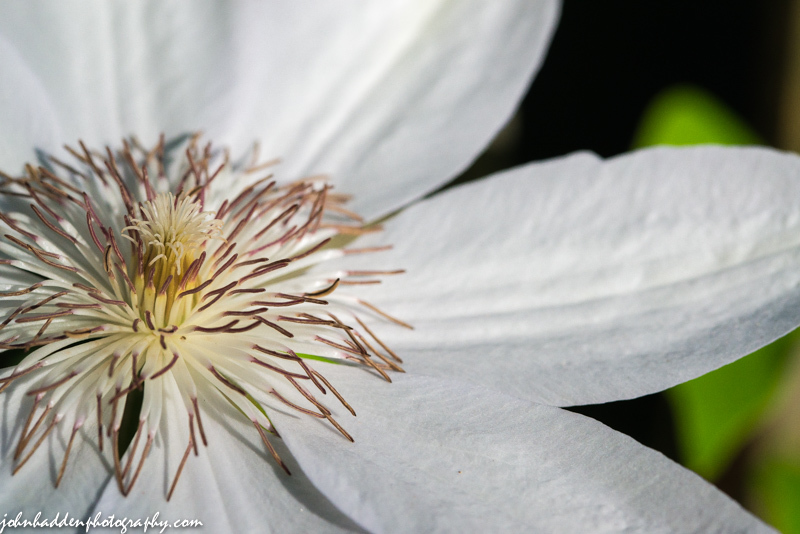 Nikon D600, Sigma 105mm lens, ISO 1250, f/11, 1/800″ exposure. 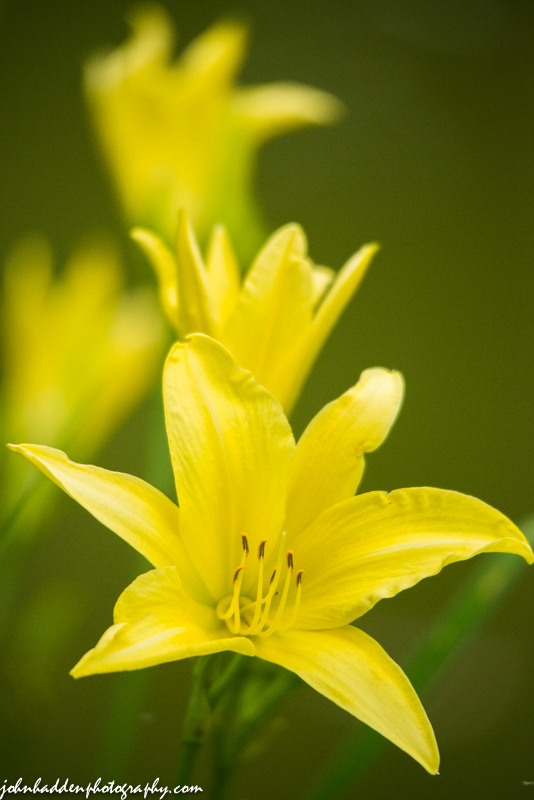 We have just a scattering of yellow day lilies—a nice change from the oranges and reds that seem to dominate. 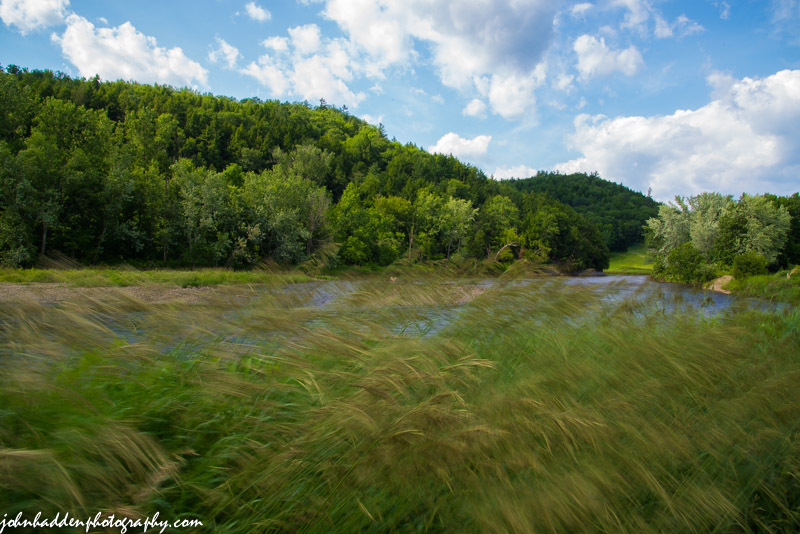 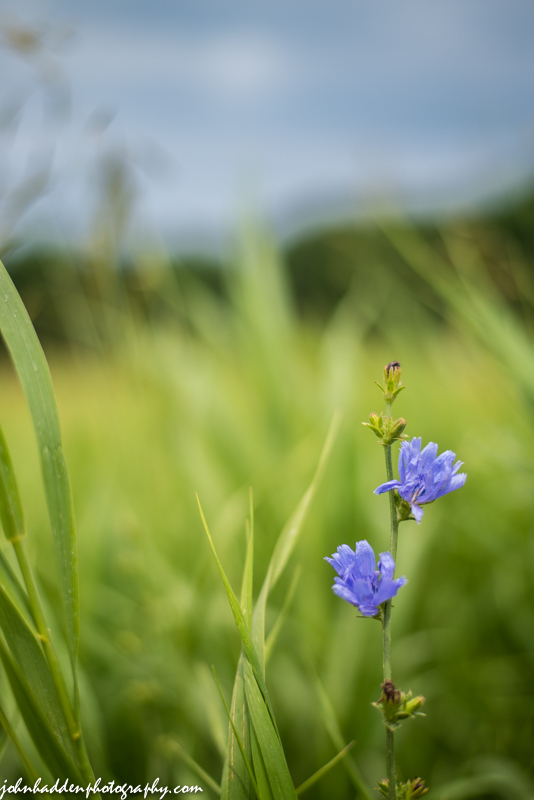 Chicory blossoms blooming in a roadside field in Huntington, Vermont. 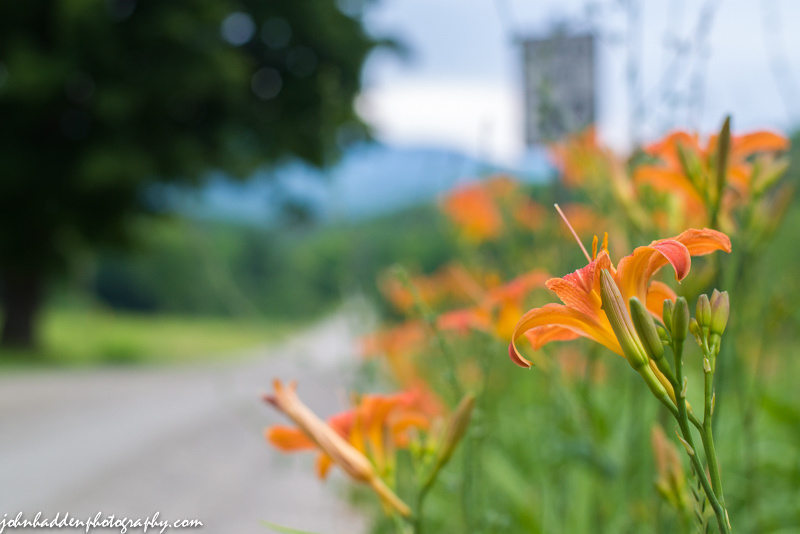 Day lilies blooming along Texas Hill Rd. 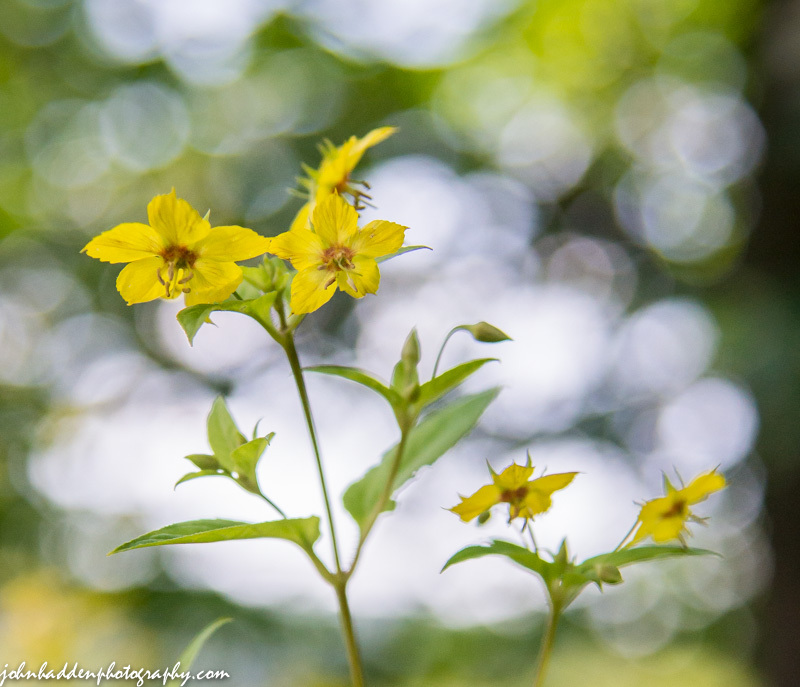 in Huntington, VT.
Fringed loosestrife against a dappled background near the Lamoille River in Jeffersonville, VT.
Nikon D600, Nikon 24-120mm lens @ 52mm, ISO 800, f/4, 1/3200″ exposure.